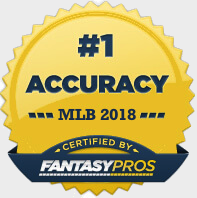 RotoBaller has created the ultimate daily fantasy baseball professional package. 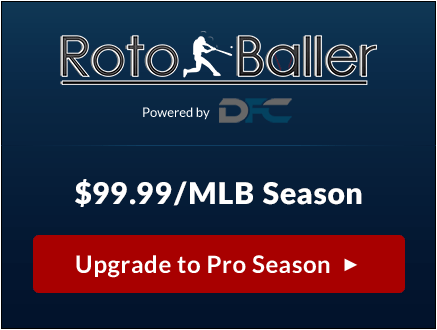 Upgrade to receive RotoBaller expert content including cheat sheets, Lineup and Value Picks plus our new Lineup Optimizer powered by Daily Fantasy Cafe. Our Lineup Optimizer enables you to fully customize winning lineups in seconds. Create hundreds of lineups in seconds with the most advanced lineup optimizer in daily fantasy sports. Will I have access to RotoBaller Premium Package? Yes, it's all included. 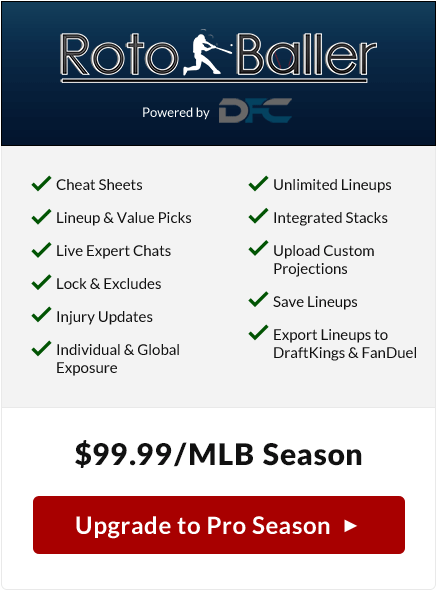 RotoBaller has created the ultimate daily fantasy baseball professional package. 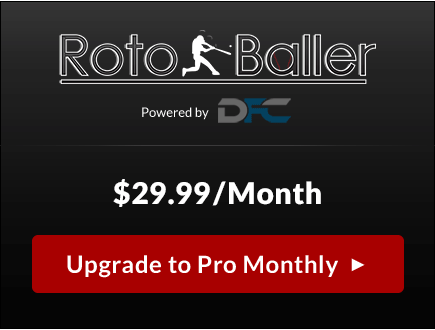 Upgrade to receive RotoBaller expert content including cheat sheets, Lineup and Value Picks plus our new Lineup Optimizer! RotoBaller’s Lineup Optimizer enables you to fully customize winning lineups in seconds. Create hundreds of lineups with the most advanced lineup optimizer in daily fantasy sports. Do you have Projected & Confirmed Lineups? Yes, in the Games tab, you can find projected and confirmed lineups as soon as the teams release them. Do you have updated Injuries? Yes, we have injury status and news in the Injuries tab. Do you provide weather information? Yes, we provide temperature, wind and % chance of rain. How do you create your Projections? 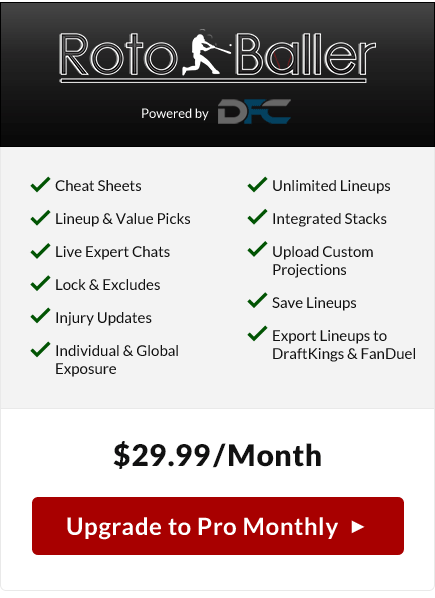 Projections are provided by the experts at Daily Fantasy Cafe and built into the Optimizer. DFC has proven to be one of the most accurate DFS sites on FantasyPros over the past few years. Projections take into account opponent fantasy points allowed per position, injuries, fantasy points per minute, minutes played and more. Projections are updated throughout the day, and the date/timestamp of the last update can be seen above the Projections drop down. Can I upload my own Projections? Can I upload these lineups directly to FanDuel & DraftKings? Start with the Demos on each tab, which will walk you through the functionality of the tool. There are tons of options, so it can take some time to fully understand and unlock the full power of the Optimizer. Can I purchase the Optimizer for NFL, NBA and NHL? Yes, if you would like to purchase the Lineup Optimizer for sports other than MLB, please visit our Premium Subscription page and click the "Optimizers" tab for details.